Expression lines – These wrinkles are a result of the underlying muscle movement used for facial expression. While making expressions, the skin compresses, leading to wrinkle formation. Initially, these lines appear only when the muscles contract, i.e. when you smile/frown, but with age, these become more permanent and appear even when the muscles are at rest. Botox helps relax these lines. Facial volume loss – When younger, our face is more plump and fuller, but as time passes, this volume is lost causing laxity and thinning of skin. Fat around the eyes, cheeks, and forehead gets depleted, leading to lax skin and wrinkles. Facial volume loss also results in an older, more gaunt appearance. Non-surgical facial reshaping with dermal fillers can help to replace this lost volume, improving both wrinkles and the overall youthfulness of the face. Gravity – The pull of gravity draws the skin downwards on the face. This results in drooping cheeks, nasolabial lines (the lines from the corners of the mouth to the nose) and jowls, drooping of the eyebrows and wrinkles. Sleep lines – Contact with a pillow when sleeping leads to skin compression. One can detect sleep lines from vertically or diagonally-oriented lines on the side of the forehead or cheek. Glare – Squinting to avert the glare from sunlight often causes frown lines and crow's feet (lines around the eyes on smiling). Facial fat changes – Facial fat gets redistributed with age; it gets lost in some areas and accumulated in others. This can be seen in the cheeks, around the eyes and temples, producing a gaunt and drawn look. The lower lids may have protruding fat pads. Slack muscles and excessive fat accumulation below the chin produces the familiar double chin. Lifestyle changes – Due to its inherent sucking movement, smoking is one of the most obvious causes of wrinkling around the mouth. Also, to protect the eyes from the smoke, there can be wrinkling of the area around the eyes causing crow's feet. Dietary deficiencies – Lack of a balanced diet and a low intake of antioxidants also contribute to taking away the fountain of youth from the face. Sun Exposure – Firstly, wrinkles can be prevented by using a good sunscreen. (For more information click on Sun and Skin). This protects against UV radiation, reducing further damage to the skin. Expression lines – These are generally treated with Botox, which relaxes the muscles that cause skin compression. This is most commonly performed in the muscles between the brows and around the eyes. Botox injections generally last for 3-4 months. By stopping the movement that causes wrinkles, Botox injections also prevent static lines from becoming deeper. If static lines or lines at rest are already present, then anti-wrinkle injections may not do much. However, a regular Botox injection gives the skin a rest from compression, and static wrinkles may improve slightly over time. Facial volume loss – A simple analogy for facial volume loss is that of a grape – When we are young, our faces look fuller like a grape but as age adds on, the face loses volume and forms wrinkles like a raisin. Replacing this volume effectively by adding dermal fillers reduces wrinkles and revolumises the face. Dermal fillers add volume to the areas of the face that have been affected due to expression formation, gravity, sleep or simply aging. Their effect lasts between 4 and 24 months. Also, by strategically adding volume to certain areas of the face such as the cheeks, undereye hollows (tear troughs), lips, and brows, it is possible to rejuvenate and reshape the face non-surgically. 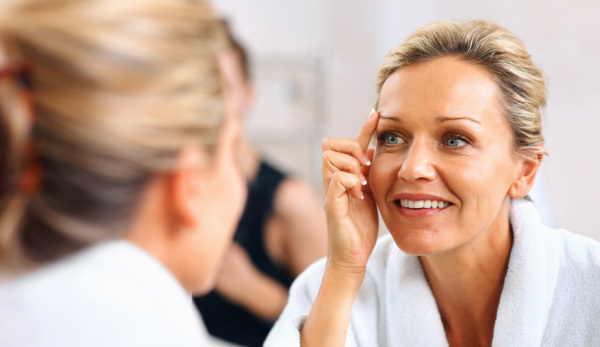 Why Skin & You Clinic for anti-wrinkle treatments? The doctors at Skin & You Clinic, Mumbai, specialize in the area of non-surgical rejuvenation of the skin. We listen to your concerns and help you decide which treatments suit you best by considering factors like your desired goal, required downtime for recovery and tolerance to the treatment. We also state realistic and achievable outcomes of the treatment.